Career changes (A layoff, a spouse starting or stopping work based on family responsibilities, a desire to transition to a different profession, a promotion, etc. We also cater to clients that slot into a particular phase of the life cycle. Ask us about our “Smart Start” package. The $500 package is tailored for people in the earlier phases of wealth-building, and makes a great wedding or graduation gift. Do you want, and can you afford, a larger home? Are the risks that can derail the plan, such as disability and death, covered? What does retirement mean? Just stopping work? Gradually reducing responsibilities? Part-time work? Embarking on a new career? Volunteer activities? Taking a breather to reflect is the first step. Retirement projections – Estimate income, expenses, and assets throughout retirement – and make adjustments to spending, saving, and the actual retirement date to help ensure it is secure. New housing options – stay in place, downsize, a second home, a new location. Investments – structuring investments for this life stage, managing risk, providing income. Tax planning – income changes at different stages in retirement. This provides opportunities for tax planning. 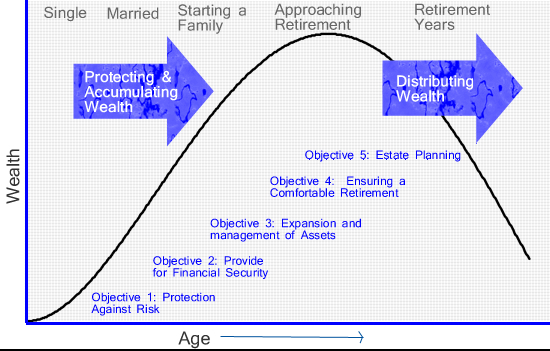 Making decisions about Social Security, lump sum and pension, and managing retirement plan distributions. 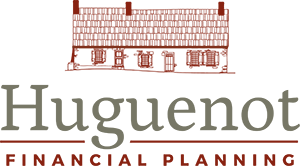 Risk management and estate planning – wills, powers of attorney, health care proxies, planning for long-term care needs, gifting, estate tax planning, charitable planning.